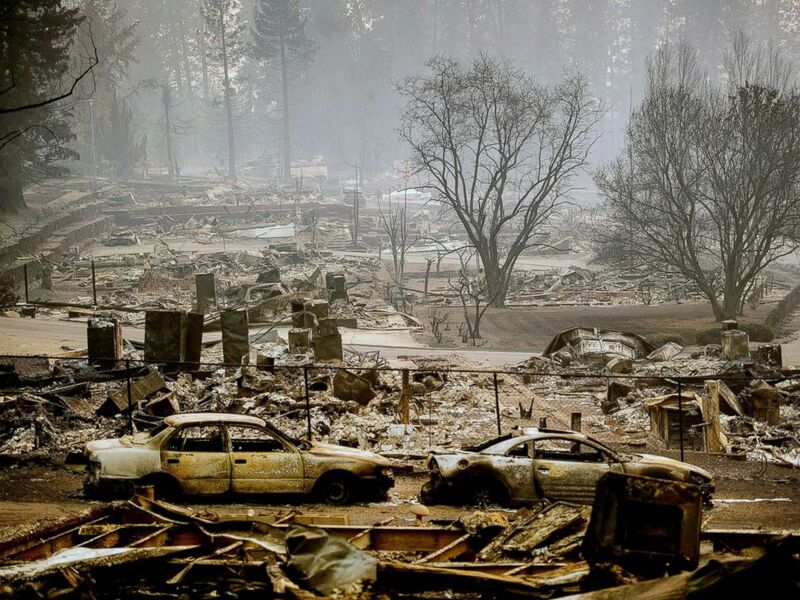 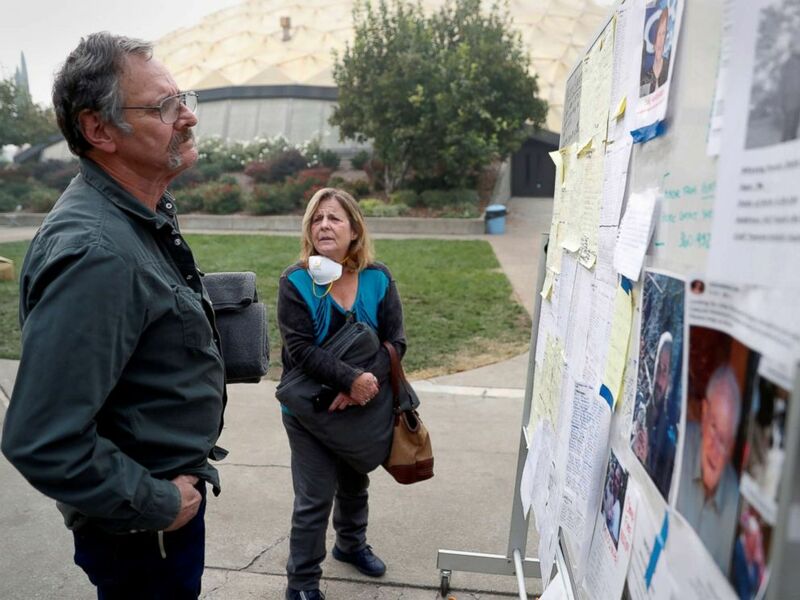 Lane and Julie Walker, of Magalia, look for people they know on a list of people missing in the aftermath of the Camp Fire in Chico, Calif., Nov. 15, 2018. 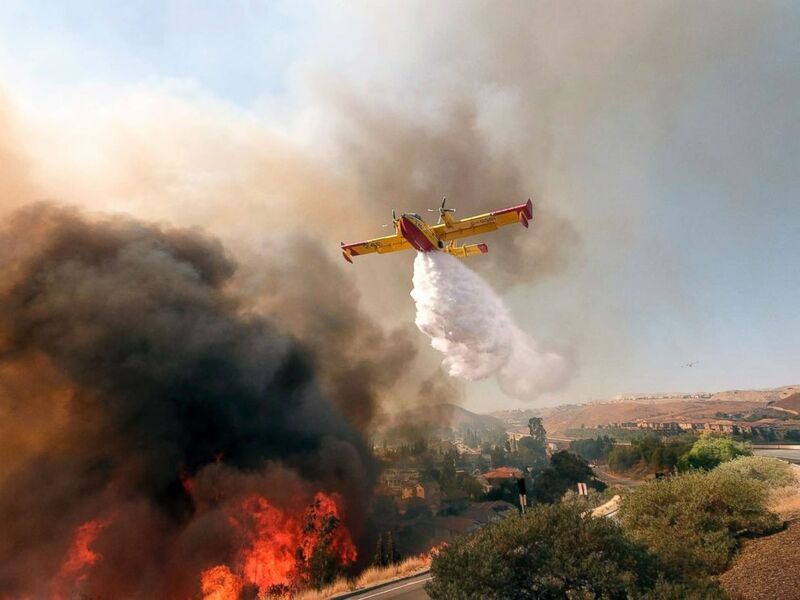 An air tanker drops water on a fire along the Ronald Reagan (118) Freeway in Simi Valley, Calif., Nov. 12, 2018. 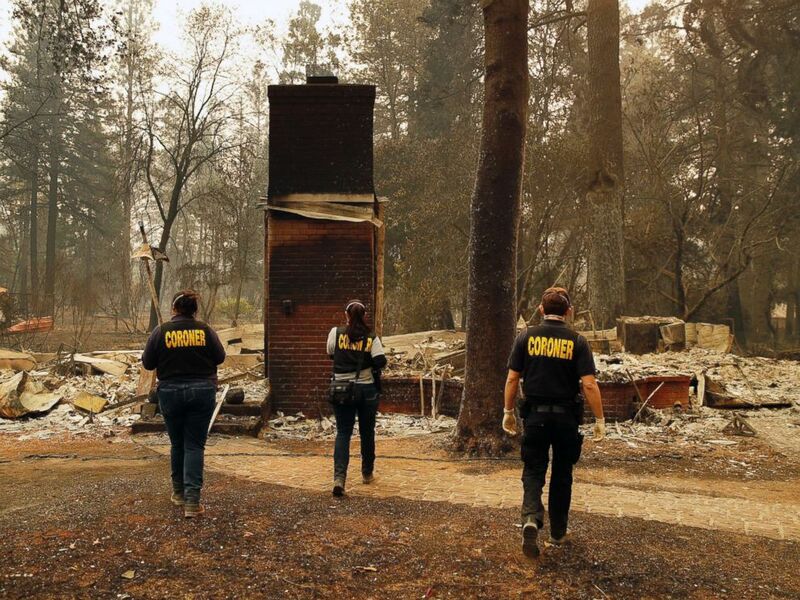 Members of the Sacramento County Coroner's office look for human remains in the rubble of a house burned at the Camp Fire, Nov. 12, 2018, in Paradise, Calif. 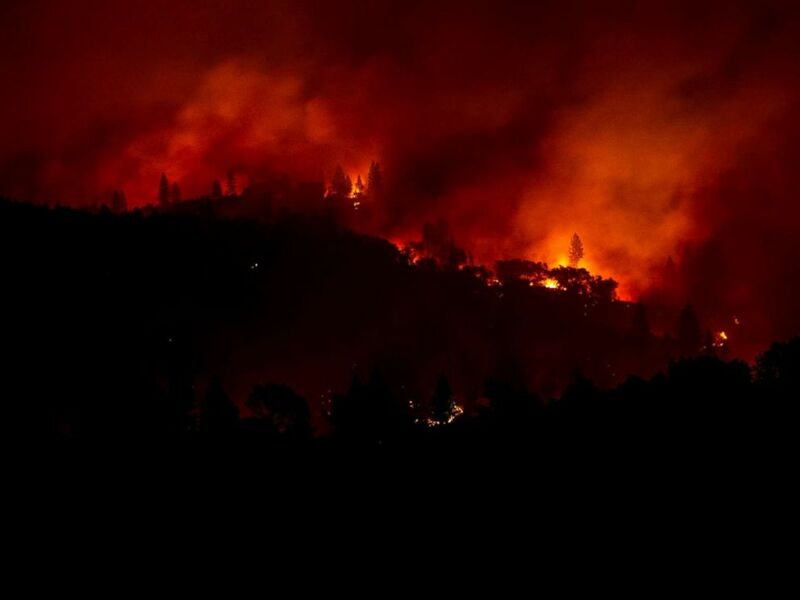 The Camp Fire burns along a ridge near Big Bend, Calif., Nov. 10, 2018. 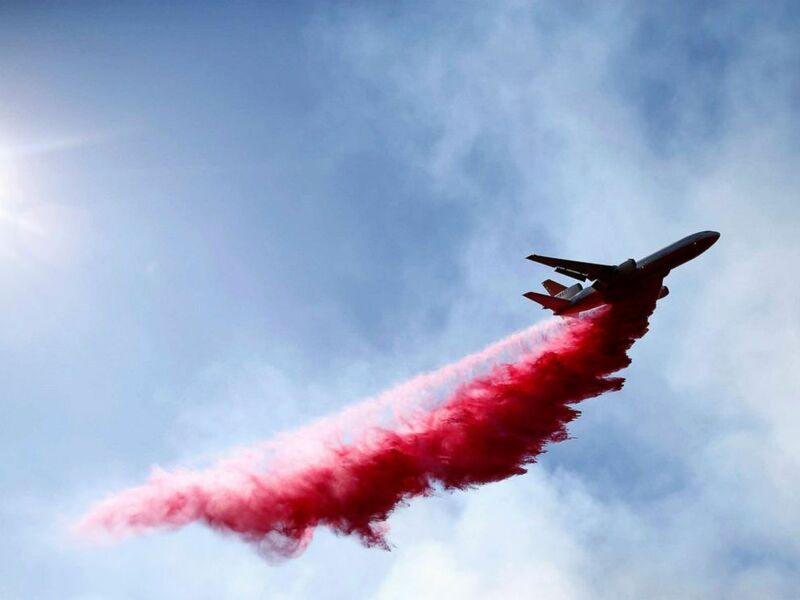 An aircraft drops flame retardant as firefighters battle the Woolsey Fire as it continues to burn in Malibu, Calif., Nov. 11, 2018. 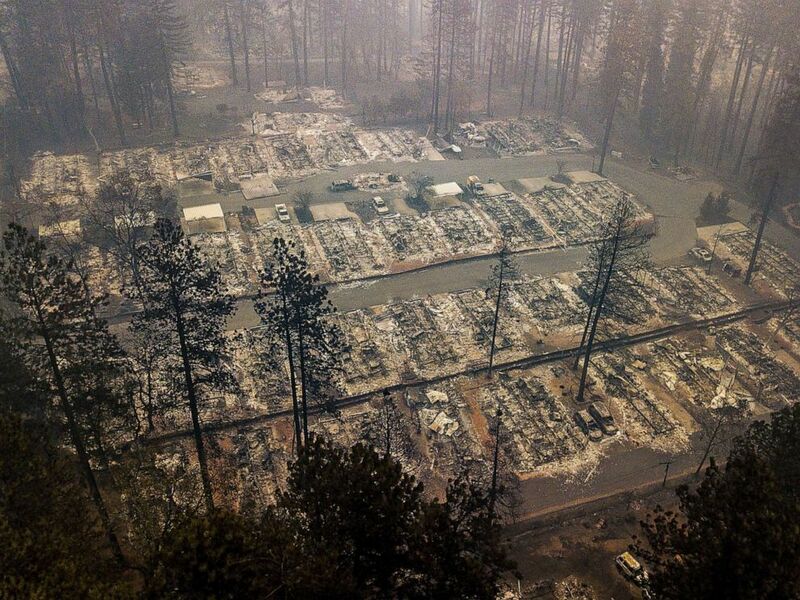 Map showing the location of the wildfires burning near Paradise and Thousand Oaks, Calif.